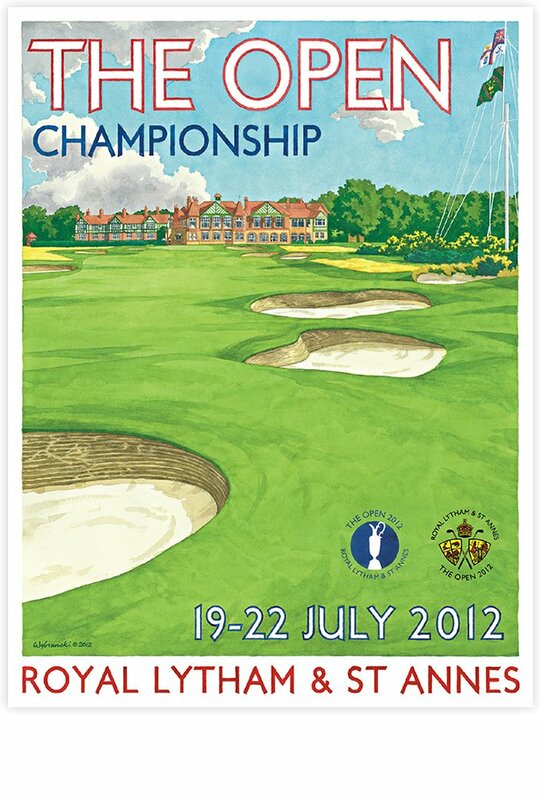 The 2012 Open Championship was played at historic Royal Lytham & St Annes in England. This was the 11th time the Lancashire golf club had hosted the event and the first that Lee had the honor of producing the official poster for the R&A. The classic image of the 18th hole features the famous flag poles on the right hand side of the fairway and the iconic clubhouse.